I remember when I saw the first sketches of the buffalo the rest of the world met in IS YOUR BUFFALO READY FOR KINDERGARTEN?. The instant connection I felt to that art, the way THAT was MY buffalo–is a memory that never fails to thrill me. I’m an inarticulate critic, hard-pressed to explain why the simplicity, earnestness and magic with a single eyebrow moves me, but it does. And there’s a nostalgia tie-in too, because our buffalo books remind me, in a pure-happiness way, of the appearance of certain Syd Hoff books, and that can only be a good thing. I kind of fell in love with this buffalo, and I know a lot of other people did too. And it’s because of Daniel Jennewein, illustrator extraordinaire. Good guy extraordinaire, too. Daniel Jennewein and me at Hooray for Books in September 2010. In celebration of the imminent publication of our second collaboration, TEACH YOUR BUFFALO TO PLAY DRUMS, Daniel agreed to answer some questions and share a never-before-seen buffalo illustration. What were some of your favorite books when you were young? I remember my mother reading some books over and over to me to the point that we still know some passages by heart. 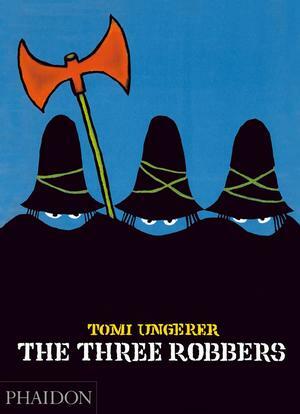 The books were: WHERE THE WILD THINGS ARE, by Maurice Sendak; THE THREE ROBBERS, by Tomi Ungerer; MISTER MOLE, by Luis Murschetz; FREDERICK, by Leo Lionni; and THEOBALD, by Hans Schmand. Did you have a favorite character? I really liked Donald Duck. It felt as if I knew him personally. Donald seems to have all bad character traits combined: He has a bad temper, is envious and has illusions of grandeur. Despite that, I was always on his side and wished him all the success in the world. Unfortunately that didn’t help; he seemed to be the unluckiest Duck in the family. What character would you have liked to be your friend? I envied Max in WHERE THE WILD THINGS ARE for all the friends he made. The element of danger seemed to give the friendship a little extra spice. Karlsson-on-the-Roof or Pippi Longstocking would have made fabulous friends for me. They seem to make everything possible and take away all worries and troubles. Do you have friends and/or colleagues who play a role in your role as an illustrator? It is hard to evaluate one’s own work. Sometimes I can’t even tell if an illustration is successful or not, because I am just too involved. I do think it helps to sleep a night over it and look at it when you are in a different mood at the start of a fresh day. It would be great if I could get some like-minded people together for a critique group, but I still need to work on that. If you could create a perfect friend for the buffalo, who/what would it be? Is Your Buffalo Open to the Idea of New Friends from Outer Space? Our Buffalo is very friendly and accepting, even to someone from very far away. Reader: Let’s not miss this chance to appreciate the buffalo’s expression here–that could only be described as a new-friend smile. Note the eyebrow–the man conveys an awful lot with those eyes and a single eyebrow. I’m guessing you’ll want to spend more time with Daniel Jennewein and his brilliant work. So don’t forget to check out TEACH YOUR BUFFALO TO PLAY DRUMS, which releases on June 28. Keep up with Buffalo and Daniel news on the book’s facebook page. And head on over to Daniel’s website pronto! This entry was posted in Uncategorized and tagged aliens, Astrid Lindgren, Audrey Vernick, Daniel Jennewein, Donald Duck, Frederick, Hans Schmand, illustration, illustrator, Is Your Buffalo Ready for Kindergarten, Karlsson on the Roof, Leo Lionni, Luis Murschetz, Maurice Sendak, Mister Mole, Pippi Longstocking, Syd Hoff, Teach Your Buffalo To Play Drums, The Three Robbers, Theobald, Tomi Ungerer, Where the Wild Things Are. Bookmark the permalink. Nice. I knew that Buffalo had it in him to like just about anybody. I think down the read we will have to see those two do a friendship post together! Great interview! BTW, Donald Duck is a real favorite of mine, too. I think it was because he knew how to throw a good tantrum, and no one in the family really appriciated my efforts in that department. Is Your Buffalo Ready for Kindergarten is one of my new favorite children’s book. The hilarious writing coupled with Daniel’s endearing illustrations make it a match made in picture book heaven. Beth, I saw your review last week and I loved it. Thank you so much for that!! And for stopping by here.